Millions of Canadians get sick every cold and flu season. It’s difficult to avoid the bugs that cause these illnesses, especially as the weather gets colder, and we spend more time indoors together. We can reduce our risk by washing our hands often, getting a flu shot and trying not to shortchange our sleep time. We can also bolster our cold- and flu-fighting capabilities by eating a well-balanced, nutritious diet. Some foods in particular may help us fend off colds and flu or at least feel better faster. Here are our picks. 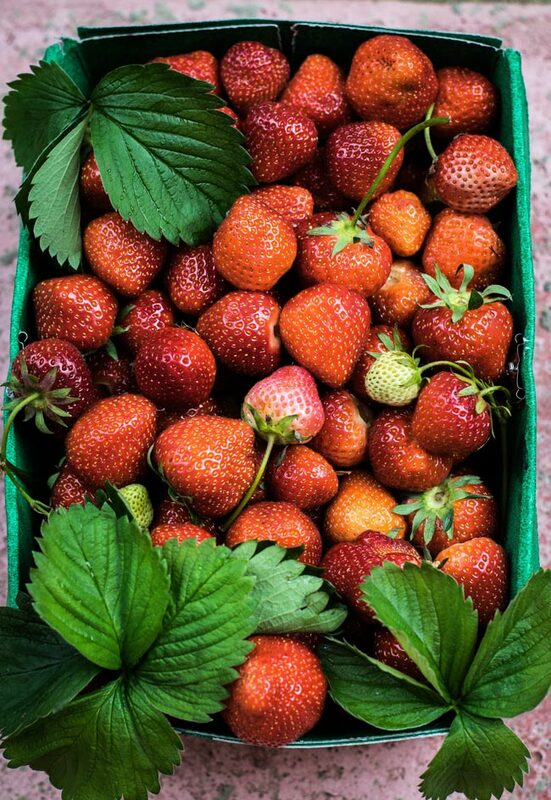 Strawberries are a spectacular source of vitamin C. There’s 52 mg of the stuff in just half a cup of berries, more than you’d get from eating half a grapefruit. But does vitamin C really prevent colds? Yes … and no. After more than two dozen research studies, scientists agree that in most cases, vitamin C won’t help you avoid catching a cold. It may slightly reduce the length of time you feel symptoms, as long as you were taking the vitamin C before you became sick. We’ve also learned that in people who exert themselves for short periods — say, running a marathon — vitamin C can actually reduce colds by about 50 per cent. Whether you’re dealing with a cold or a flu, tea is an ideal drink for making you feel better. First, it keeps you hydrated, which is important for recovery. The warm temperature helps to loosen congestion and soothe a sore throat. Many people find it relaxing to sip tea. And, of course, tea is loaded with antioxidants. People who drink black tea regularly tend to have lower blood pressure, lower cholesterol and fewer heart attacks. We recommend you drink your tea in decaf form since you don’t want caffeine interfering with your shut-eye. A quarter-cup of pumpkin seeds contains up to half of your recommended daily intake of zinc. This mineral has long been used in lozenges to treat the common cold. In 2012, a review in the Canadian Medical Association Journal found that zinc can indeed shorten colds in adults. But not everyone enjoys taking zinc as a supplement. Some study participants developed nausea or a nasty taste in their mouths, and too much over the long term can actually lower immunity. You won’t have to worry about a bad taste when you get your zinc from food, so when you’re carving that Halloween jack-o’-lantern, be sure to save the seeds! You can also get zinc from oysters, anchovies, baked beans and cashews. Yogurt and other fermented foods like kefir and sauerkraut contain probiotics. The evidence is not strong thus far, but it suggests probiotics may play a role in helping us fight off the common cold. Three-quarters of a cup of yogurt will provide you with up to 18 grams of protein, a nutrient that we know is essential for supporting the immune system. Yogurt is also cool, smooth and easy to swallow, considerably appealing attributes when you’re dealing with a sore throat. Harvested from a tree in South America, Brazil nuts are rich in selenium, a mineral that strengthens the immune system. According to a study published last year in the Journal of Evidence-Based Integrative Medicine, selenium may be particularly helpful in preventing influenza A, one of the two types of flu responsible for seasonal outbreaks. Brazil nuts provide cardiovascular benefits as well. A 2013 study suggested that having just one handful of Brazil nuts can temporarily but significantly improve your cholesterol! There’s a reason why Grandma’s remedy never fails to perk you up. Chicken soup has a lot to offer. The chicken itself is high in protein, zinc and selenium. Noodles contain selenium as well. Researchers have discovered that chicken soup may have anti-inflammatory effects on the body. And just like tea, soup is wonderfully hydrating and cosy-warm. Here’s a tip: add a variety of vegetables, so you’re also getting plenty of vitamins.